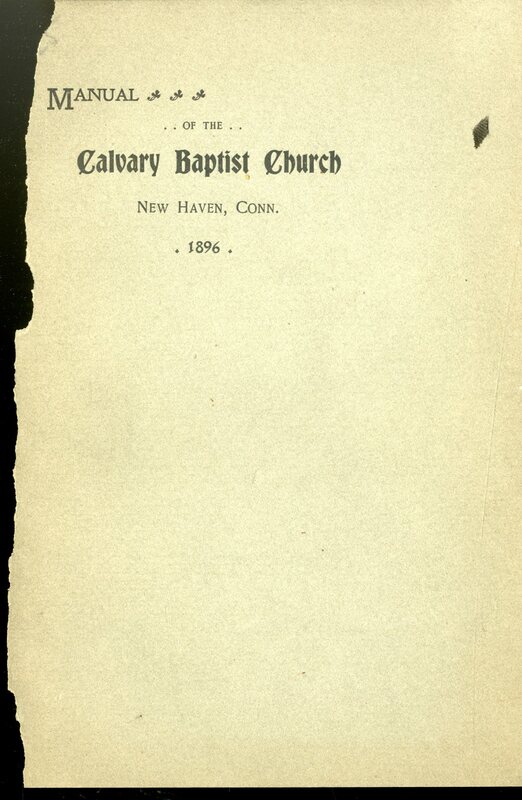 Brief history, declaration of faith, and directory of the Calvary Baptist Church in New Haven, Connecticut in 1896. 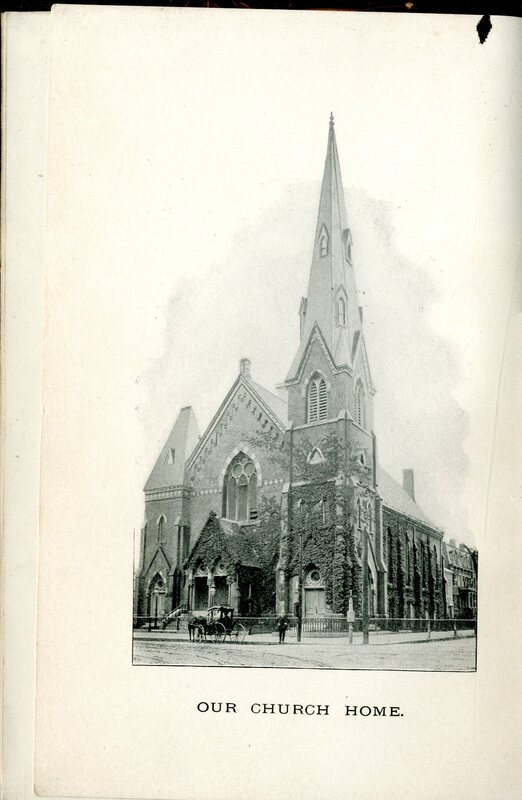 Calvary Baptist Church has existed in New Haven since 1860 when it was first established by the First Baptist Church as a mission Sunday school at 179 Dwight Street. 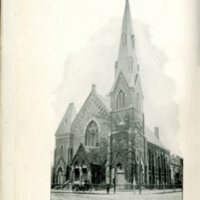 The Sunday school grew into a branch church, which later gave birth to Calvary Baptist Church at the corner of Chapel and York Street in 1871. 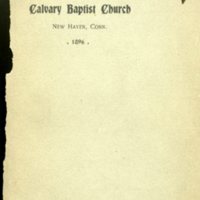 “Historical sketch and declaration of faith and covenant of the Calvary Baptist Church, New Haven, Conn., together with its rules and regulations.” Rare Books. WCSU Archives, 6 Nov. 2018. Accessed on the Web: 19 Apr. 2019.